The New Pioneer 1 model S232 - 3 wheel scooter - the Ultimate in style and affordability has arrived! The new Pioneer 1 is loaded with standard features such as swivel seat, front basket, height and width adjustable armrests and an infinity adjustable tiller. 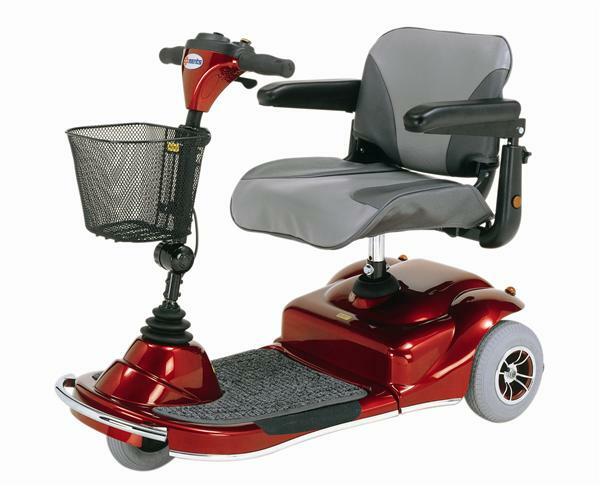 The Pioneer 1 is easy to disassemble for transport and provides a great turning radius for indoor use. The foam filled tires allow for ease of use outdoors. This compact easy to disassemble scooter features a heavy duty 300 lb. weight capacity!! Smooth, sleek design. 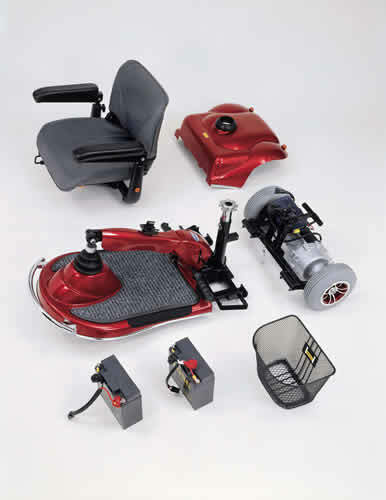 Compact and easy to disassemble and transport. Heaviest piece only 42 lbs.!! Wheel Size Front 8", Rear - 9"
Top speed of 4 mph. 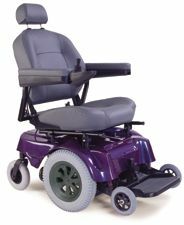 Comfortable low back padded seat with height and width adjustable arm rests. Maximum Speed 4 mph, variable speed control. Motor 210 watt, 3450 r.p.m.